Circuit Of The Americas (COTA for short) is America's first purpose-built Formula 1 track which stands at 3.427 miles long. The track is characterized by a lot of elevation change and with 20 diverse and technical turns, it's a formula for great racing and a really difficult but fun track to drive. 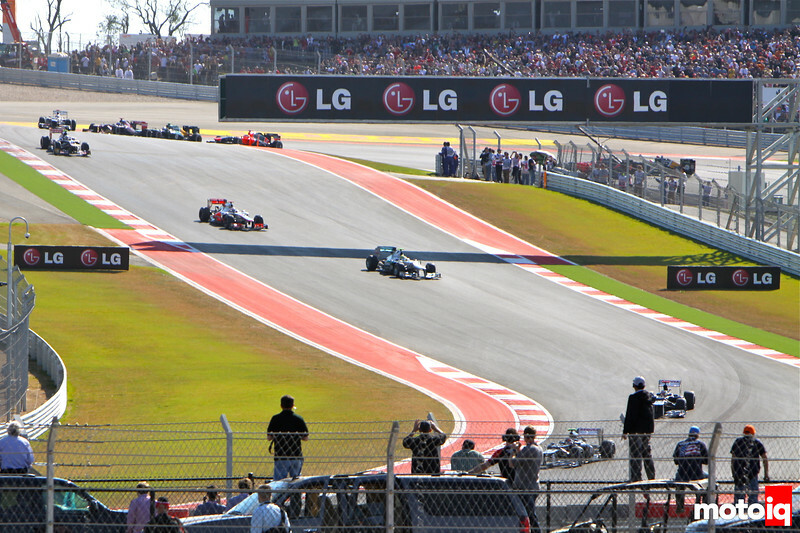 Located in Austin, TX the track was designed with the assistance of Hermann Tilke, who is responsible for designing most of the modern F1 circuits. Proposed in the middle of 2010, COTA was completed in time for the November 18, 2012 Formula 1 race which I was fortunate enough to attend. 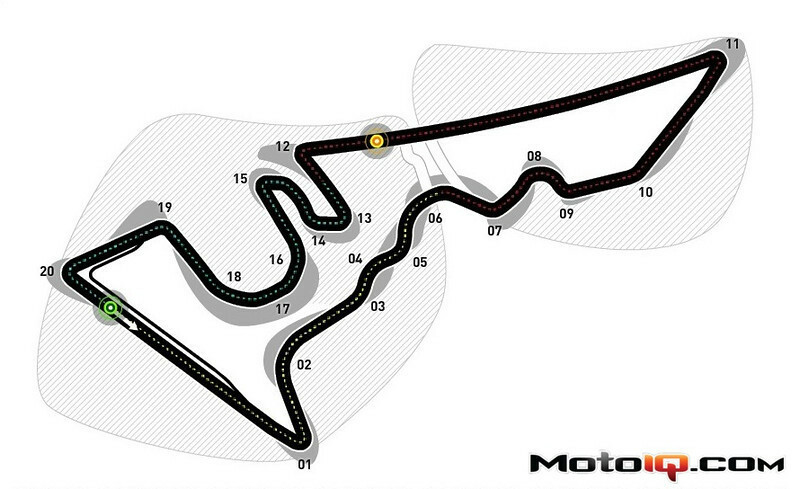 The track will host everything from MotoGP to Australian V8 Supercars and the world's top Road Racing series. It's exciting to finally have a modern European-style circuit here in the States with a similar track specification, layout, curbing, and run-offs. Rather than the tight, narrow, and bumpy tracks that characterize North American racing circuits. I tested here in the Turner Motorsports Rolex GT BMW M3 last November. Follow me through a fast lap around COTA. 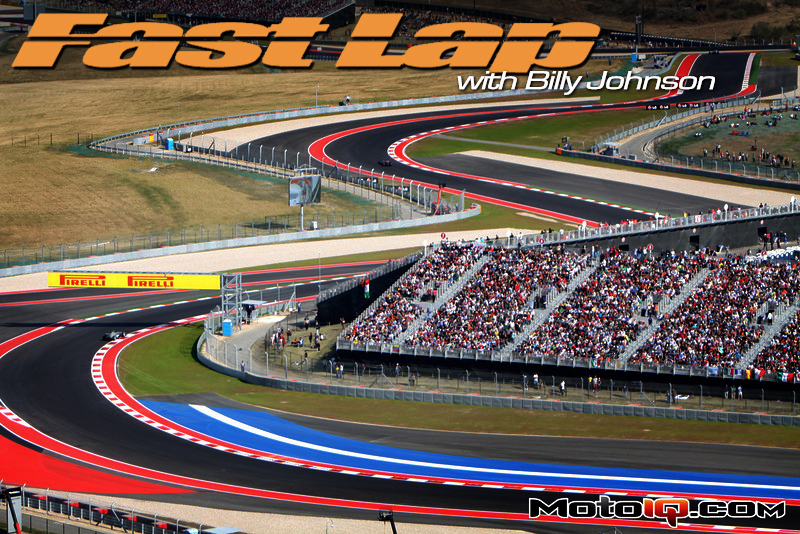 Once you've finished watching Billy blast around COTA, read on as he breaks down this challenging circuit turn by glorious turn. One of the most impressive features of COTA is the steeply inclined braking zone of Turn 1. This corner is tricky due to the elevation change which causes the car to get unloaded on both corner entry and exit. This is a great corner for overtaking and has a high potential for wrecks, especially at the start of the race. Look for the brake markers on the right as you head up the hill. Depending on the car, the 200ft brake marker is a good reference point to brake at. The already wide front straight becomes wider with the addition of the pit-out lane, but then opens up to the left even more and terminates at a very tight apex which is almost 180 degrees. I don't usually turn in from the far right side of the road because of how wide the track is, but rather creep in a little bit to the left during braking (about a car width or two). As you turn-in to the corner, the front of the car should be loaded as you trail the brakes down to the apex. Be careful half way from turn-in to the apex because the up-hill brake zone levels out and the car gets light in this transition. It's hard to see this crest but I've seen a lot of F1 cars spin here and have to admit that I've spun on entry as well. Once you crest this hump, you'll find yourself in a somewhat banked “bowl” as you make your way to the apex. The exit is fairly important to your lap time so make sure not to apex too early or shallow which would cause you to push wide and struggle to get the car pointed down the hill. The F1 cars climbing into Turn 1 and dropping down into Turn 2. Emphasize a slightly later apex. It's more important to get the car over to the left and set up for Turn 2 than it is to get a great exit out of 1 and use up all of the track-out curbing on the right. This is a fast downhill corner somewhat reminiscent to Turn 12 at Road Atlanta; except it's not very cambered and is close to “flat” if not full throttle in most cars. After exiting Turn 1, try to get the car as far left as you can, at least left-of-center (LOC) of the road. Your turn-in point is dictated by how far left the car is at turn-in and the grip/balance of the car. Turn-in full throttle and lift only as much as necessary to tuck the nose to reduce understeer. Aim to use some of the apex curbing then track-out only as much as you need to. Quickly get the car back to right-of-center (ROC) to set up for Turn 3. This is the start of the tricky “Esses”. Get one corner wrong and you will be paying for it for the next few turns and will lose a lot of time. On the inside of the painted apex curbing are three 2″ tall ‘bread boxes' which are not aggressive enough to upset most cars if you run over them with your inside tire. Turn-in full throttle from ROC and emphasize a later apex to be straighter as you brush the brakes to set up for Turn 4. This will be a short, hard brake application to scrub speed. Let's call it a 7 pedal out of 10 (10 being at the limit of traction/ABS). It's important to be on the left side of the road to set up for a late apex at Turn 4. Turn 3: The beginning of the Esses. Superb track layout , Really challenging first corner! Terrific gradients not quite Laguna Seca but great circuit!